Tromsø Cathedral located in Tromsø city, Norway, is the only Norwegian cathedral made of wood. The church is in Gothic revival style, with the church tower and main entrance facing west. Located at 70° N, it is the northernmost Protestant cathedral in the world. 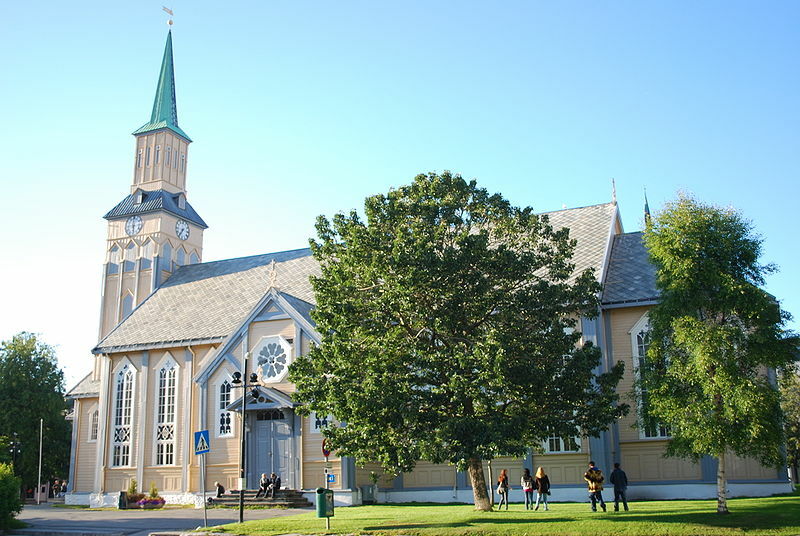 With 800 seats, it’s one of Norway’s biggest wooden churches.The Cathedral is the seat of the Diocese of Nord-Hålogaland. The structure was completed in 1861, with Christian Heinrich Grosch as the architect. It was built using a cog joint method. 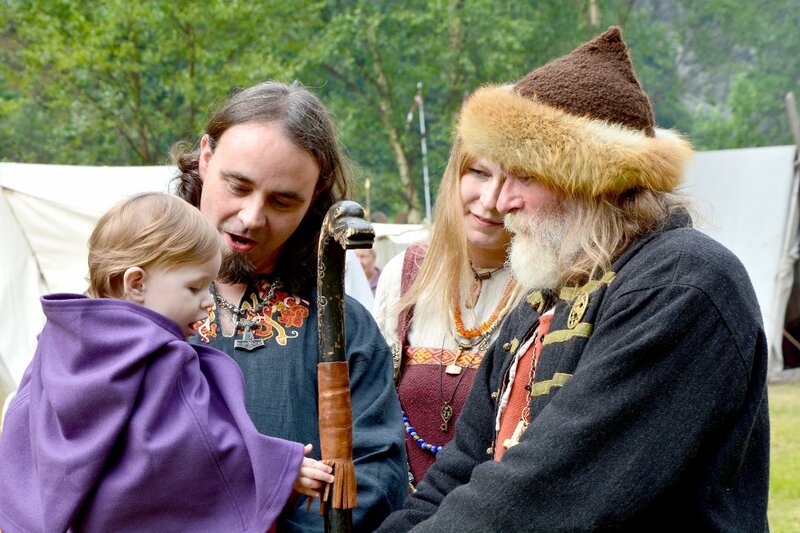 It is situated in the middle of Tromsø on a site where in all likelihood there has been a church since the 13th century. 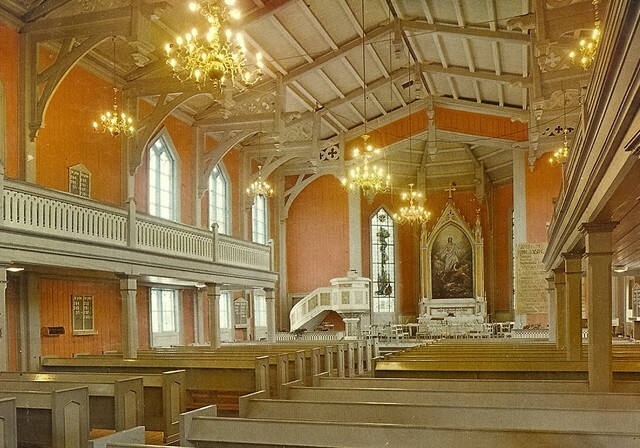 The first church in Tromsø was built in 1252 by King Haakon IV of Norway as a royal chapel. The church belonged to the king, therefore, not the Catholic Church. The church is mentioned several times in the Middle Ages as St. Mary near the Gentiles (Sancta Mariae juxta Pagano). A wooden church already stood on the grounds when the cathedral was built, which was first relocated to the area immediately south of the city border (only a few hundred metres south) and then in the early 1970’s to Elverhøy kirke further up the hills in the city. This church is still there and it contains a number of pieces of art that have adorned the churches in Tromsø from the Middle Ages. The oldest object is a Madonna figure, possibly from the 15th. C. The interior is dominated by the altar with a copy of the painting Resurrection by the noted artist Adolph Tidemand . Tromsø city is the largest city and the largest urban area in Northern Norway with 69.000 inhabitants, and the second largest city and urban area in Sápmi (following Murmansk). Most of Tromsø, including the city centre, is located on the small island of Tromsøya in the county of Troms, 350 kilometres (217 mi) inside the Arctic Circle.